Six Southeast Asian startups have been named in the list of 12 Asian startups that have received grants from the DBS Foundation. Given as part of its 2018 Social Enterprise Grant Programme, DBS Foundation awarded a total of S$1.25 million (US$916,000) to social enterprises in Singapore, Hong Kong, India, Indonesia, and Taiwan. Each company received between SG$30,000 (US$21,000) and SG$250,000 (US$183,000). The grant was aimed to help the companies enhance their offerings, bring their prototypes to market, improve existing processes or scale up their existing business to achieve greater social impact. They were selected based on criteria such as the ability to address social needs, business innovation, as well as the sustainability and scalability of their business models. The startup produces biodegradable, edible, and fibre-rich plastic packaging for food and non-food products. In addition to solving the growing problem of plastic waste in the market, Evoware also aims to help seaweed farmers improve their livelihood by doing partnership with them. The grant will support Evoware to increase their production capability. The startup connects micro-business owners in Indonesia with potential investors through an online platform; the companies that want to raise funding through GandengTangan platform need to have a social impact element to their business. The grant will be used for product enhancements with machine learning and data science for accurate credit scoring, as well as for hiring skilled manpower. The startup aims to help upcycle agricultural waste material and generate extra income for farmers by using the materials to produce natural adhesive for building material. DBS Foundation awarded Mycotech a prototype grant in 2016 to operationalise their pilot production plant as well as obtain necessary certifications to commence work. This year, the grant will help increase Mycotech’s production line capacity and establish a sound IP management strategy. Sukkha Citta supports home-based artisans in rural Indonesia by providing them with training, certification, and access to international markets. It aims to remove exploitative practices while pioneering sustainability in the industry. The grant will be used for training more local artisans, certification of local villages, and to scale up production capacity. 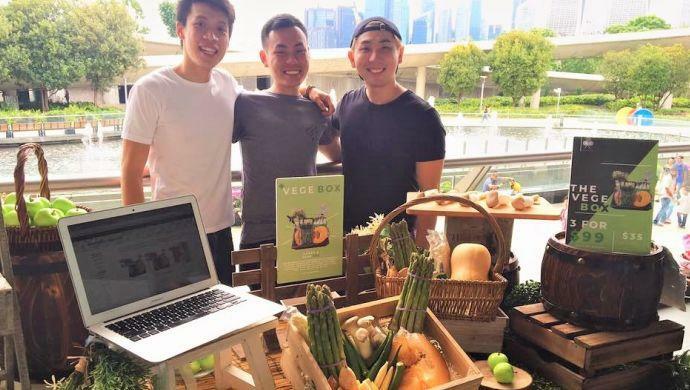 wasted; it aims to reduce food wastage by building a platform to connect F&B businesses with unsold inventory to potential buyers. The grant will be used for the technological enhancements of their online platform. Yonah aims to tackle the challenges of transporting critical medication (such as vaccines) to rural areas using aerial vehicle. The grant will be used for the development and pilot testing of the vehicle. The post Meet the Southeast Asian startups that have just received the DBS Foundation grants appeared first on e27.